Csomagolás A 2350g+500g akció VÉGET ÉRT! JavaslatNapi 2-3 adagot ajánlunk, első adagot reggel éhgyomorra, másikat 1 órával edzés után, a harmadikat elalvás előtt. Naponta be lehet venni 4 adagot is az edzés intenzitásától függően. A kép csupán illusztrációs jellegű, az esetleges akciót a termék neve jelezi! 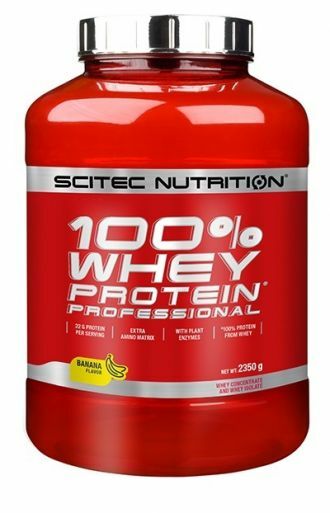 A 100% WHEY PROFESSIONAL kizárólag tejsavóprotein felhasználásával készült. Ez a kiváló fehérje a legújabb fehérjekoncentrátumokat célzó kutatások eredménye. A tejsavó protein Ultra mikorfiltrációs eljárással lett feldolgozva, és enzimatikusan kezelve. Alacsony zsír és laktóztartalom jellemzi, könnyen emészthető. 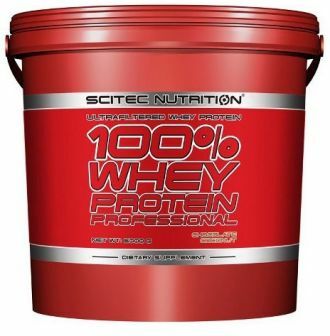 A 100% WHEY PROFESSIONAL-t az izomzat 100%-ban képes hasznosítani. Az esszenciális aminosavtartalma és az antikatabolikus hatású kötött láncú aminosavak mennyisége kiemelkedően magas. Az antikatabolikus hatás fokozása érdekében nagy dózisú glutaminnal gazdagították. Minden adagban 3,5g glutamin található!!! 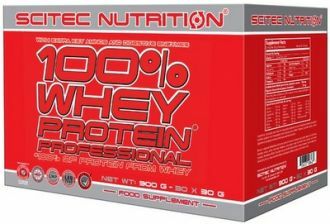 100% WHEY PROFESSIONAL adagonként 4,5g BCAA-t tartalmaz. Ajánljuk mindazoknak, akik minőségi izomtömeget szeretnének építeni, és azoknak, akik meglévő izomzatukat szeretnék színvonalasabbá tenni. Chocolate: High-quality protein blend exclusively from Whey protein concentrate and Whey protein isolate (containing lactoglobulin, lactoferrin, lactalbumin and immunoglobulin protein fractions), Cocoa Powder (10-12%), Taurine, Flavorings (Chocolate, Cream), Flavor Enhancer (Sodium Chloride), L-Glutamine, L-Leucine, Thickener (Xanthan gum), Artificial Sweeteners (Acesulfame K, Sucralose), Digestive enzymes (Bromelain, Papain), Dextrose. Strawberry: High-quality protein blend exclusively from Whey protein concentrate and Whey protein isolate (containing lactoglobulin, lactoferrin, lactalbumin and immunoglobulin protein fractions), Flavorings (Strawberries), Taurine, Acidifier (Citric Acid Monohydrate), Flavor Enhancer (Sodium Chloride), Coloring (Strawberry Red), L-Glutamine, Artificial Sweeteners (Acesulfame K, Sucralose), L-Leucine, Thickener (Xanthan gum), Digestive enzymes (Bromelain, Papain), Dextrose. Vanilla: High-quality protein blend exclusively from Whey protein concentrate and Whey protein isolate (containing lactoglobulin, lactoferrin, lactalbumin and immunoglobulin protein fractions), Taurine, Flavorings (Vanilla, Yoghurt), Yoghurt Powder, Flavor Enhancer (Sodium Chloride), L-Glutamine, Artificial Sweeteners (Acesulfame K, Sucralose), L-Leucine, Thickener (Xanthan gum), Dextrose, Digestive enzymes (Bromelain, Papain). 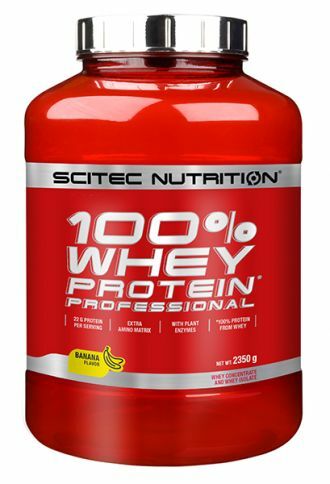 Banana: High-quality protein blend exclusively from Whey protein concentrate and Whey protein isolate (containing lactoglobulin, lactoferrin, lactalbumin and immunoglobulin protein fractions), Taurine, Flavorings (Banana, Cream), Dextrose, Flavor Enhancer (Sodium Chloride), L-Glutamine, Thickener (Xanthan gum), Artificial Sweeteners (Acesulfame K, Sucralose), L-Leucine, Digestive enzymes (Bromelain, Papain). Cappuccino: High-quality protein blend exclusively from Whey protein concentrate and Whey protein isolate (containing lactoglobulin, lactoferrin, lactalbumin and immunoglobulin protein fractions), Taurine, Cocoa Powder (10-12%), Flavorings (Cappuccino, Cream), Flavor Enhancer (Sodium Chloride), Dextrose, L-Glutamine, Thickener (Xanthan gum), L-Leucine, Artificial Sweeteners (Acesulfame K, Sucralose), Digestive enzymes (Bromelain, Papain). 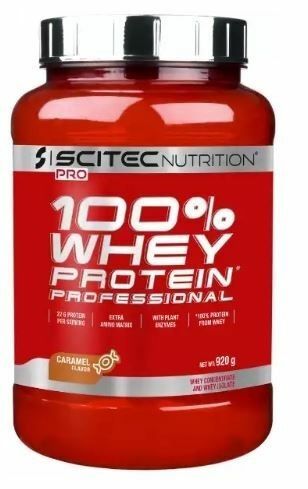 Caramel: High-quality protein blend exclusively from Whey protein concentrate and Whey protein isolate (containing lactoglobulin, lactoferrin, lactalbumin and immunoglobulin protein fractions), Taurine, Flavorings (Milk Caramel, Cream), Cocoa Powder (10-12%), Flavor Enhancer (Sodium Chloride), Dextrose, L-Glutamine, Thickener (Xanthan gum), Artificial Sweeteners (Acesulfame K, Sucralose), L-Leucine, Digestive enzymes (Bromelain, Papain). Chocolate coconut: High-quality protein blend exclusively from Whey protein concentrate and Whey protein isolate (containing lactoglobulin, lactoferrin, lactalbumin and immunoglobulin protein fractions), Cocoa Powder (10-12%), Taurine, Flavorings (Chocolate, Coconut, Vanilla), Flavor Enhancer (Sodium Chloride), L-Glutamine, Dextrose, Thickener (Xanthan gum), Artificial Sweeteners (Acesulfame K, Sucralose), L-Leucine, Digestive enzymes (Bromelain, Papain). Chocolate Cookies & Cream: High-quality protein blend exclusively from Whey protein concentrate and Whey protein isolate (containing lactoglobulin, lactoferrin, lactalbumin and immunoglobulin protein fractions), Milk Chocolate Powder (20%), Taurine, Flavoring (Cookies & Cream), Flavor Enhancer (Sodium Chloride), L-Glutamine, Thickener (Xanthan gum), Artificial Sweeteners (Acesulfame K, Sucralose), L-Leucine, Dextrose, Digestive enzymes (Bromelain, Papain). Chocolate Hazelnut: High-quality protein blend exclusively from Whey protein concentrate and Whey protein isolate (containing lactoglobulin, lactoferrin, lactalbumin and immunoglobulin protein fractions), Taurine, Cocoa Powder (10-12%), Flavorings (Chocolate, Hazelnut, Creamy Vanilla), Flavor Enhancer (Sodium Chloride), L-Glutamine, Thickener (Xanthan gum), L-Leucine, Artificial Sweeteners (Acesulfame K, Sucralose), Dextrose, Digestive enzymes (Bromelain, Papain). Chocolate Peanut Butter: High-quality protein blend exclusively from Whey protein concentrate and Whey protein isolate (containing lactoglobulin, lactoferrin, lactalbumin and immunoglobulin protein fractions), Cocoa Powder (10-12%), Taurine, Flavorings (Peanut Butter, Chocolate), Flavor Enhancer (Sodium Chloride), L-Glutamine, Dextrose, Thickener (Xanthan gum), L-Leucine, Artificial Sweeteners (Acesulfame K, Sucralose), Digestive enzymes (Bromelain, Papain). Chocolate Raspberry: High-quality protein blend exclusively from Whey protein concentrate and Whey protein isolate (containing lactoglobulin, lactoferrin, lactalbumin and immunoglobulin protein fractions), Cocoa Powder (10-12%), Taurine, Flavorings (Chocolate, Raspberry, Creamy Vanilla), Flavor Enhancer (Sodium Chloride), L-Glutamine, Dextrose, Thickener (Xanthan gum), L-Leucine, Artificial Sweeteners (Acesulfame K, Sucralose), Digestive enzymes (Bromelain, Papain). Chocolate Rocky Road: High-quality protein blend exclusively from Whey protein concentrate and Whey protein isolate (containing lactoglobulin, lactoferrin, lactalbumin and immunoglobulin protein fractions), Cocoa Powder (10-12%), Flavorings (Rocky Road, Chocolate), Taurine, Flavor Enhancer (Sodium Chloride), L-Glutamine, Thickener (Xanthan gum), L-Leucine, Artificial Sweeteners (Acesulfame K, Sucralose), Dextrose, Digestive enzymes (Bromelain, Papain). Cinnamon Vanilla: High-quality protein blend exclusively from Whey protein concentrate and Whey protein isolate (containing lactoglobulin, lactoferrin, lactalbumin and immunoglobulin protein fractions), Taurine, Flavorings (Creamy Vanilla, Cinnamon), Flavor Enhancer (Sodium Chloride), L-Glutamine, Dextrose, Thickener (Xanthan gum), L-Leucine, Artificial Sweeteners (Acesulfame K, Sucralose), Digestive enzymes (Bromelain, Papain). Cinnamon White Chocolate Mocha: High-quality protein blend exclusively from Whey protein concentrate and Whey protein isolate (containing lactoglobulin, lactoferrin, lactalbumin and immunoglobulin protein fractions), Taurine, Cocoa Powder (10-12%), Flavorings (Cappuccino, White Chocolate, Creamy Vanilla, Cinnamon), Flavor Enhancer (Sodium Chloride), L-Glutamine, Thickener (Xanthan gum), L-Leucine, Artificial Sweeteners (Acesulfame K, Sucralose), Dextrose, Digestive enzymes (Bromelain, Papain). Honey Vanilla: High-quality protein blend exclusively from Whey protein concentrate and Whey protein isolate (containing lactoglobulin, lactoferrin, lactalbumin and immunoglobulin protein fractions), Taurine, Flavorings (Vanilla, Honey), Flavor Enhancer (Sodium Chloride), L-Glutamine, Dextrose, Thickener (Xanthan gum), L-Leucine, Artificial Sweeteners (Acesulfame K, Sucralose), Digestive enzymes (Bromelain, Papain). 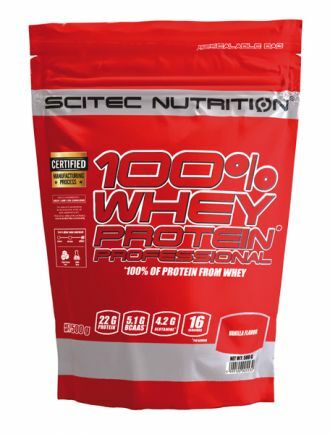 Strawberry White Chocolate: High-quality protein blend exclusively from Whey protein concentrate and Whey protein isolate (containing lactoglobulin, lactoferrin, lactalbumin and immunoglobulin protein fractions), Flavorings (White Chocolate, Strawberry), Taurine, Acidifier (Citric Acid Anhydrous), Flavor Enhancer (Sodium Chloride), L-Glutamine, Thickener (Xanthan gum), Coloring (Strawberry Red), Artificial Sweeteners (Acesulfame K, Sucralose), L-Leucine, Dextrose, Digestive enzymes (Bromelain, Papain). Vanilla Very Bery: High-quality protein blend exclusively from Whey protein concentrate and Whey protein isolate (containing lactoglobulin, lactoferrin, lactalbumin and immunoglobulin protein fractions), Taurine, Flavorings (Creamy Vanilla, Raspberry, Wild Berry), Flavor Enhancer (Sodium Chloride), Dextrose, L-Glutamine, Thickener (Xanthan gum), L-Leucine, Artificial Sweeteners (Acesulfame K, Sucralose), Digestive enzymes (Bromelain, Papain), Colorings (Carmoisine***, Brilliant Blue FCF).